There’s a whole lot of new TV tonight, including the first episode of MERCY with James VanDerBeek in tow! ABC has a rerun of MODERN FAMILY and an all new episode of THE MIDDLE. On MODERN FAMILY, Edward Norton and Elizabeth Banks guest star in the Claire and Phil anniversary episode. On THE MIDDLE, Frankie promises to stop yelling all the time, and Mike and Bob start delivering baked goods together. Over on CBS, catch an all new special SUPERBOWL’S GREATEST COMMERCIALS. FOX has an all new hour of HUMAN TARGET – in yet another new time slot, Chance helps out a newly reformed thief. 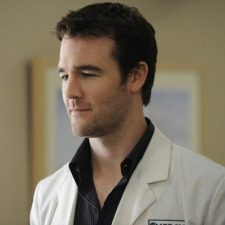 NBC has an all new episode of MERCY featuring James Van Der Beek as the new antagonistic head of ICU who immediately clashes with Veronica! Check out a rerun of LIFE UNEXPECTED on The CW (my favorite episode so far) – find out what you missed Monday night, in this episode featuring a Bazile/Cassidy dinner party! On ABC, catch an all new episode of MODERN FAMILY and COUGARTOWN. On MODERN FAMILY, Minnie Driver stops by as Claire’s old friend, and Jay and Cameron play some racquetball. On COUGARTOWN, Ellie and Jules fight over a hot tennis instructor, and Laurie turns to Travis for advice. Over on CBS, check out an all new episode of CRIMINAL MINDS, featuring a con artist who descends into mental illness, causing him to kill the people who are helping in his scams. FOX has an all new hour of AMERICAN IDOL. Showing us the “best of the rest” before Hollywood Week starts next week! NBC has a rerun of LAW AND ORDER: SVU. TRUE BLOOD’s Deborah Ann Woll goes missing and the immediate suspect is her neighbor, the awesomely creepy Stephen Rea. The CW airs a rerun of the cotillion episode of GOSSIP GIRL. Bravo has the finale of LAUNCH MY LINE as the winner is announced. It’s Kathy’s game to lose at this point! There’s a brownie bake off on THROWDOWN WITH BOBBY FLAY on The Food Network and an all new DOG THE BOUNTY HUNTER on A&E. GHOST HUNTERS INTERNATIONAL is all new on Syfy with a trip to the Supreme Courthouse, Hobart, Tasmania. ABC airs an all new episode of the soon to be gone UGLY BETTY. Betty’s blog wins an award, Kristen Johnson’s Helen is back (YES!) and Vanessa Williams plays Wilhelmina Slater drag queen! CBS has an all new CSI: NY that has the team investigating the dark subculture of vampirism! LENO is all new on NBC. SHEAR GENIUS returns for a third season on Bravo – Camila Alves hosts and Jonathan Antin is back! On MTV, you have another episode of THE REAL WORLD: DC – Ashley opens up about her abusive past. On NIP/TUCK Gallardo’s daughter shows up, wondering what happened to her dad, and a common procedure goes awry (on FX). TBS also has new two new episodes of MEET THE BROWNS. TNT has an all new episode of LEVERAGE – Luke Perry guest stars as a fake psychic that the team aims to bring down! STEVEN SEAGAL: LAWMAN is all new on A&E. Season 2 of BEING ERICA continues on Soapnet. Erica babysits for Max, and Judith isn’t a fan of her methods. Don’t miss an all new episode of PSYCH on a new night on USA – a fellow rafter goes overboard while out on the water with Gus’ new adventure seeking girlfriend (played by the always wonderful Sarah Shahi, from LIFE, ALIAS, THE L WORD, etc). Shawn immediately decides it’s foul play and sets out to prove it.